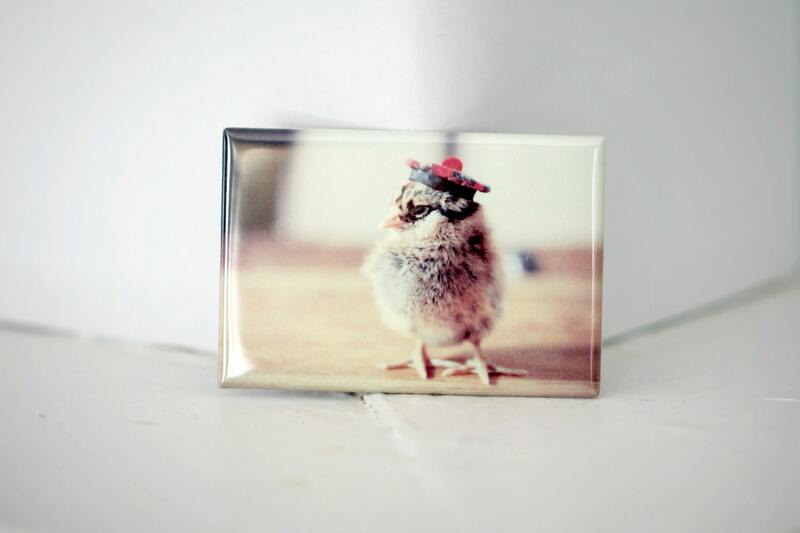 Chicks in Hats magnet featuring a chick wearing a Tam O' Shanter hat. These heavy duty rigid rectangular magnets measure 2.125" x 3.125" and have a strong flat magnetic back with glossy mylar cover. You get one magnet. Love this! This is the cutest things I have ever seen! I love everything I purchase from this shop and this certainly puts a smile on my face.